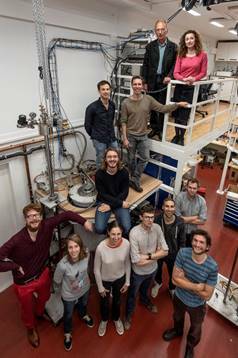 Here are a few pictures of the HQC team with which I have the chance to collaborate now, and other groups which have nicely welcomed me in the past. 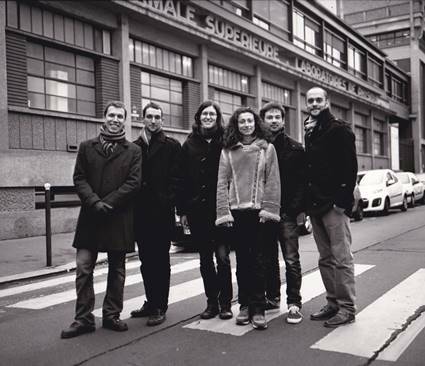 Tino Cubaynes, Lauriane Contamin, Matthieu Desjardins, François Mallet and Raphael Lescanne. Takis Kontos, Matthieu Dartiailh, Laure Bruhat, Audrey Cottet, Matthieu Desjardins and Jérémie Viennot. 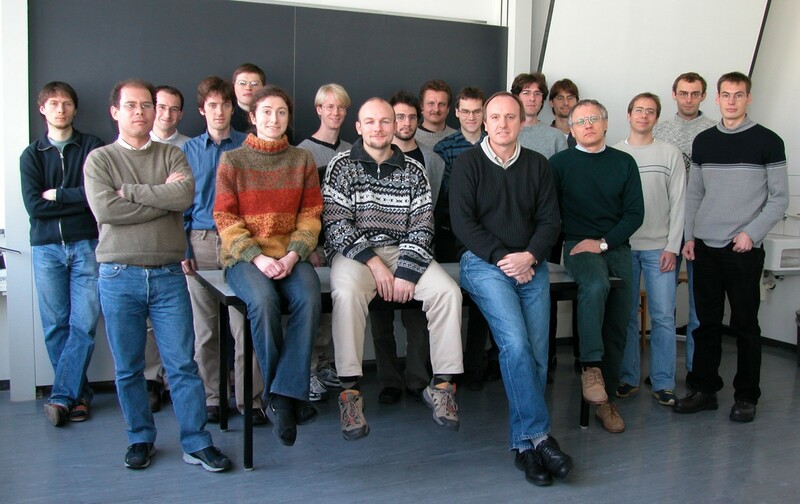 Consended Matter Theory group, University of Basel, 2002. Foreground, from left to right: Carlos Egues, Audrey Cottet, Pascal Simon, Daniel Loss, and Alexander Khaetskii. 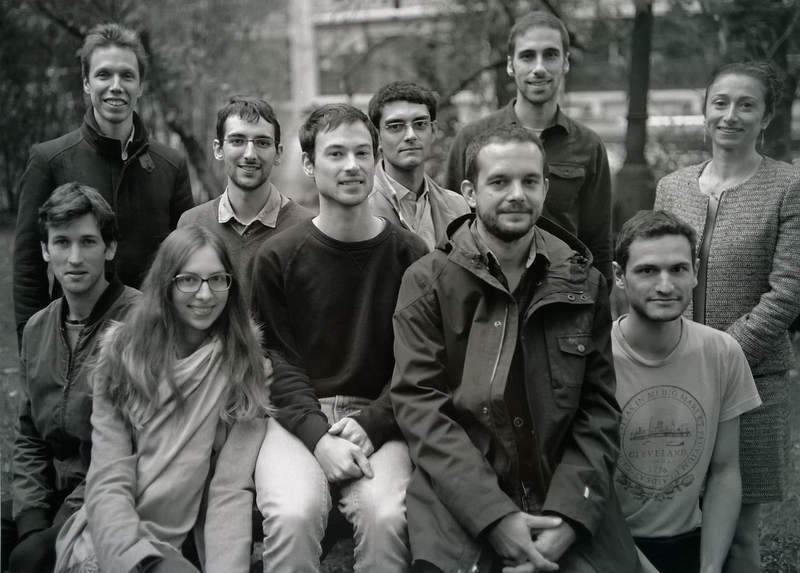 Background, from left to right: Veniamin Abalmassov, Florian Meier, Hans Andreas Engel, Audrius Alkauskas, Bill Coish, Daniel Saraga, Wolfgang Belzig, Florian Marquadt, Hanno Gassmann, Oliver Gywat, Patrik Recher, Vitaly Golovach, and Christian Schroll. Christoph Bruder is missing.